DIY Tutorial on Succulents in Seashells coming soon! Check back this week. Picking out new frames -- when you are like me and actually require eyeglasses to see things like mountains and your lover from across the room -- is an event. And unless you have a disposable income, those new glasses you choose will be, in essence, your new eyes, so you must choose carefully. Where I live, most local eyeglass shops just don't cut it when it comes to chic frame styles, so shopping online for new glasses is essential. I have a rather large, imposing face, so I need glasses that balance that out to avoid looking ridiculous (not that there is anything wrong with looking ridiculous). Polette Eyewear to the rescue! After spending hours on polette.com browsing their beautiful array of glasses, I narrowed down my selection to a pair of lovely round frames in gold. Once I received my glasses in the mail, I was elated with my decision; perfect fit, shape looks just right on my face and the color goes well with my daily wardrobe. And they are so well made! A leader in the French market, Polette offers a wide selection of beautiful, elegant, timeless eyeglass frames and sunglasses that you can try on virtually. For trend-lovers, they have a lot of fresh, fashion-forward frames to choose from, too. Plus with their customization options, you can choose the level of tint, in all sorts of colors. I chose no tint for mine this time around, but I'm itching to get a second pair that I can wear on bright, sunny days. You can even shop for lenses that protect your eyes when your staring at a computer or phone screen all day in the e-Polette shop. I've yet to mention just how much the quality outweighs the price. Polette's glasses are so affordable (price of lenses ranges from just $9.99 to $89.99). Polette is an eyewear shop that is in place to be a revolution in the optical world. Highly, HIGHLY, recommend shopping here. 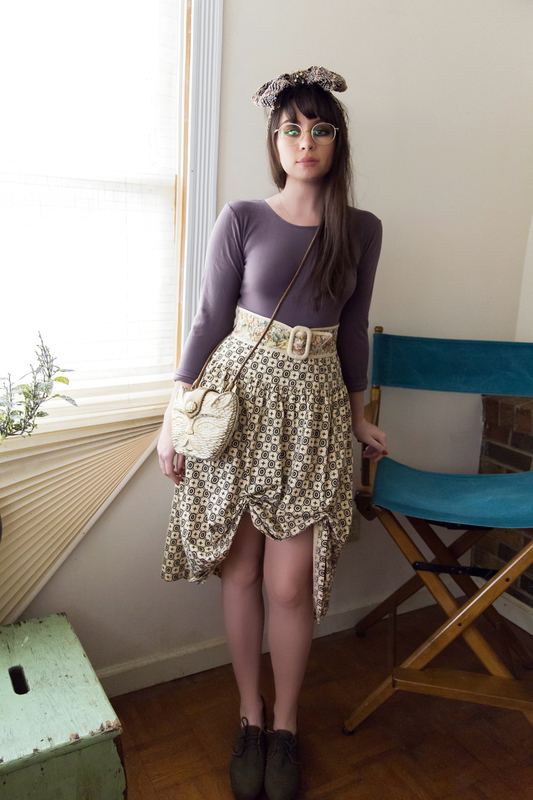 I can wear these glasses with just about anything, but today I decided to pair them with a gray bodysuit from We Love Colors (you all know how much I love going braless, and in this fabric, you can), turban headband by Kristin Perry, a vintage skirt (that I altered for my petite frame), and wood wedge platform shoes by Esska shoes. 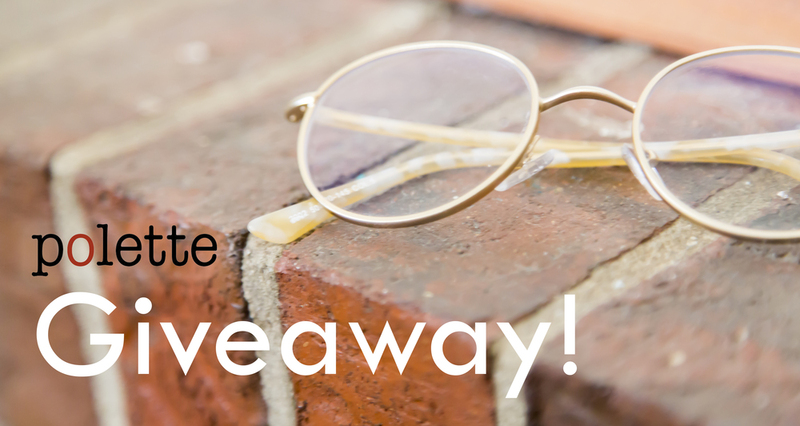 The winner may choose the frame he/she wants among all of Polette's collections, adjusted to his/her eyesight, or just for fashion. You must follow the instructions to be entered. Giveaway ends March 13, 2016 at 11:59 EST. Winner will be chosen at random and announced on or around March 14, 2016.